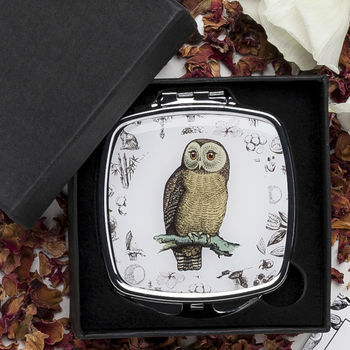 Compact Mirror stocking filler gift for her, featuring a beautiful owl design. 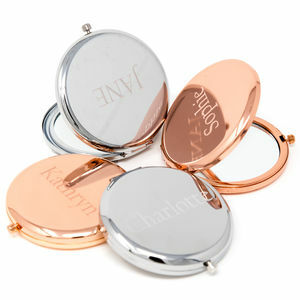 A compact, chrome mirror stocking filler, featuring one magnifying side and one regular mirrored side. The owl from the poem 'The Eve of St. Agnes' features on the front. 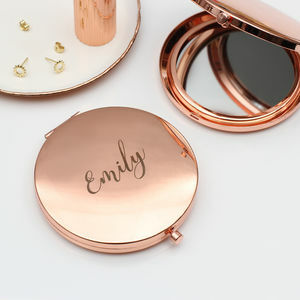 Makes a beautiful Christmas gift or stocking filler for her. 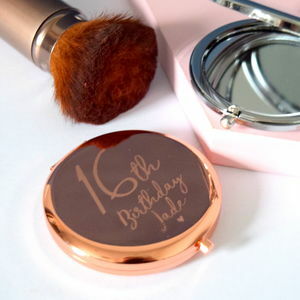 The front of the mirror is enamelled creating a beautiful, durable finish. 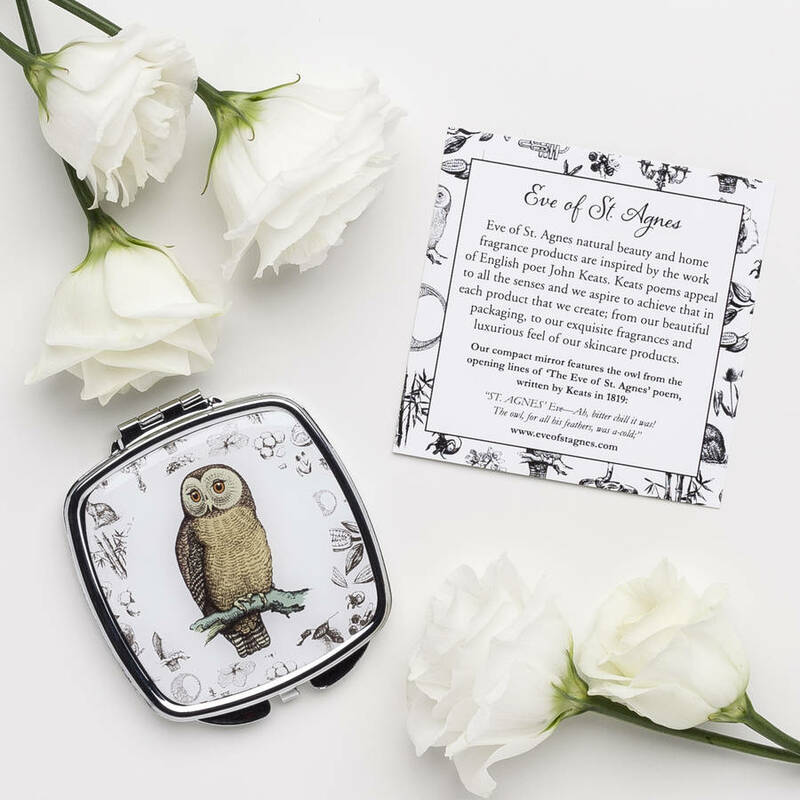 The card insert features the first two lines of the poem and comes in a small presentation box. 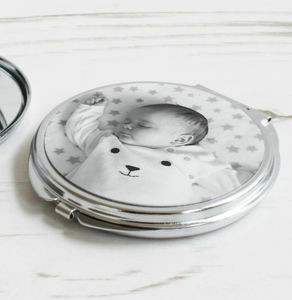 The chrome mirror has a nice heavyweight feel and makes a beautiful gift or stocking filler, especially for those who agree with us that owls are wonderful, magical creatures! This product is dispatched to you by Eve of St. Agnes.